In this day and age, with inflation rising and workers’ pay not covering what it used to, many people work two jobs to make ends meet. 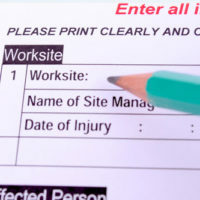 This can complicate the issue of workers’ compensation if you are injured at one job, but can work at neither. Enlisting the help of a knowledgeable attorney can help cut through the confusion and settle things faster than they might have been otherwise. Someone unacquainted with workers’ compensation law might think that only the employer on whose time the worker was injured must pay compensation, but this is not actually the case in Florida. The rationale is that since both jobs are necessary for a worker to make ends meet (if they were not, the worker would likely not work at both! ), getting injured means the worker loses both jobs’ income for however long it takes one to heal. It would be inequitable if both were not taken into account. The crux of the matter is that Florida law allows both jobs to be taken into account if you have worked “substantially the whole” of the 13 weeks preceding the accident (usually defined as 75 percent of the time) at both of them. If you did not work enough to meet that metric at your second job, it will not be counted as part of your average weekly wage, which is the standard by which compensation amounts are calculated. Regardless, there are specific standards that one or both jobs must meet in order for you to be eligible for workers compensation in Florida. The big question one must ask when calculating workers’ compensation for someone with multiple jobs is whether or not the second job constitutes “covered” employment. Covered employment is basically with any company which is required to provide workers’ compensation insurance, so small businesses with less than 5 employees, for example, would not provide covered employment. If your second job is covered, however, your income from it will be factored into the average weekly wage. This can make a very big difference in someone’s livelihood; if one only receives workers’ compensation benefits from one job, while being unable to work both, it is a real possibility that someone might lose their home or experience other significantly negative consequences. Florida case law also holds that if income from a second job cannot be included in the calculation of an average weekly wage, it cannot be included in the amount calculated to offset temporary partial disability benefits – and temporary partial disability benefits, if granted, must always be offset or repaid. Workers’ compensation is one of the most complex areas of law when it comes to guiding laymen through it. If you need assistance with an issue of concurrent employment, consulting an experienced attorney is generally the best option. The Orlando workers’ compensation attorneys at the Hornsby Law Group are happy to assist. Contact us today to set up an initial appointment.